Go Big! | Make Mine Chocolate! Do something really, really big! Want an even bigger challenge? Here are some great ideas. Send us a picture and description of your Go Big! activity and we'll post it on the website! Videos have become a very popular medium for educating interested viewers. 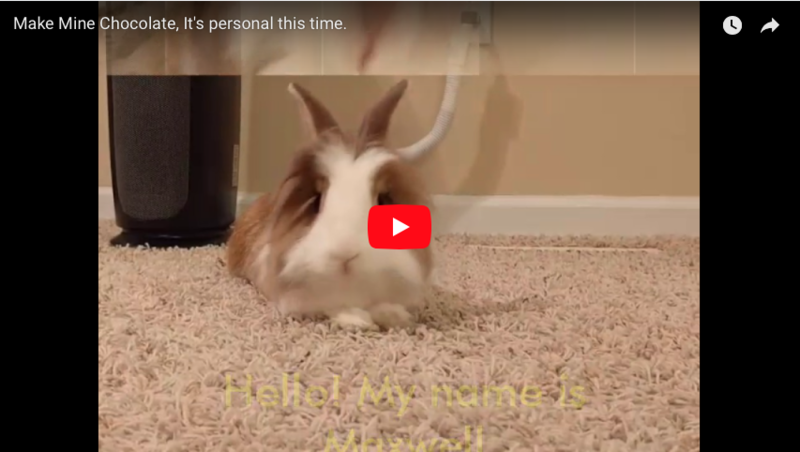 Use your cell phone to record your message and make your rabbit a Make Mine Chocolate! spokesbunny. Check out our video library for ideas. Participate in a radio or television interview. The Make Mine Chocolate! campaign is a perfect fit for lifestyle segments hosted by local radio and television outlets. 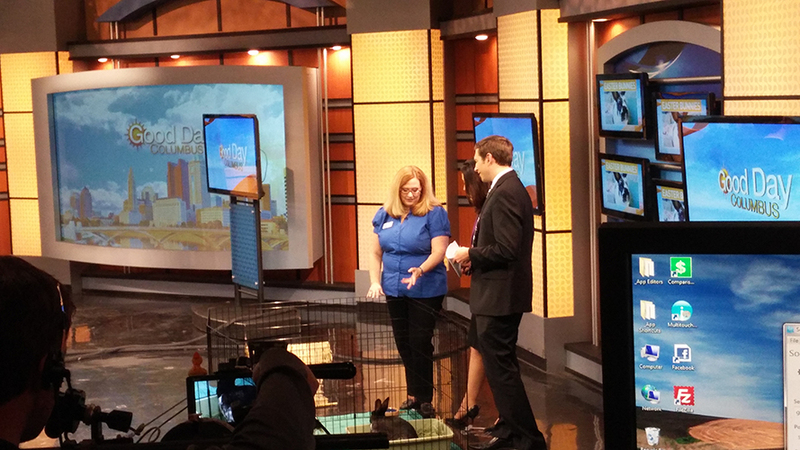 A television interview is perfect for demonstrating the housing requirements of a rabbit. Put up a billboard advertisement. rabbitron.com is a rabbit education site. Gorgeous graphic design combined with a very large billboard makes a compelling message. Make a television or radio commercial. 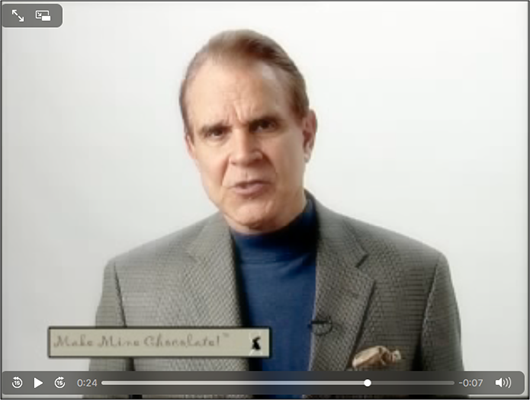 Thanks to the Las Vegas House Rabbit Society and Rich Little, we were able to make a television commercial. It appeared on several television networks as well as a local movie theater. Place an advertisement on a bus. Do you live in a city with bus service? 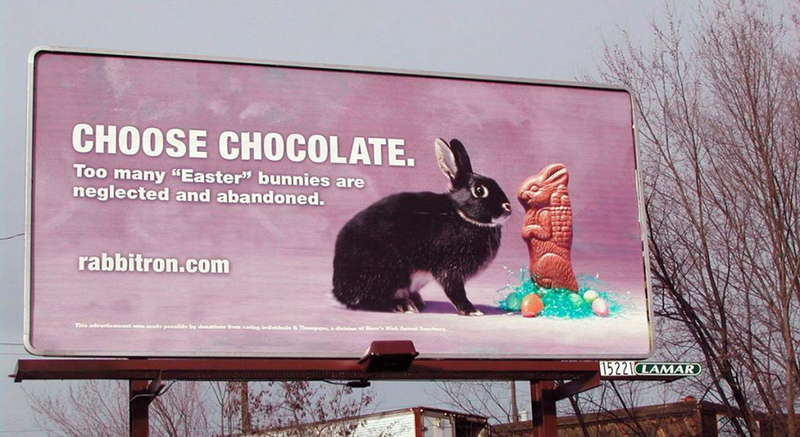 If so, do what our friends at New Mexico House Rabbit Society did. 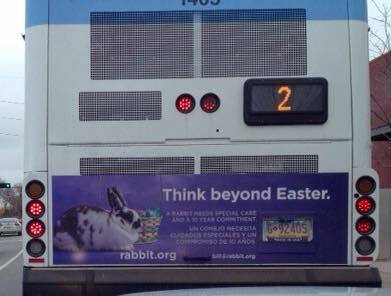 They posted an Easter message on the back of a bus.